Despite no official announcement from Microsoft, the life of the Xbox 360 Core looks to be all but over. The HDMI-touting Arcade model has been spotted in shops in North America, heralding the beginning of the end for the Core. The Arcade console assumes the role of the most bottom-end Xbox 360 model. 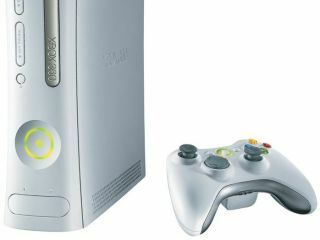 It is thought it will come with an HDMI port, Wireless controller, 256MB memory card and a number of free Xbox Live games. The Arcade is also expected to have the new 65nm 'Falcon' processors inside, making it cooler and more energy efficient than the Core. Leaks on Amazon.com suggested that the Arcade would go on sale on 23 October. Although if they are already in stores now, it's possible they will go on sale in some shops soon as they run out of Core consoles. Presumably, the Arcade will be making its way to the UK very shortly.